Beautiful town house located in the sought after "Statenkwartier", close to the shops and restaurants on the “Fred", Scheveningen harbour and the beach. The house has a sunny back garden, brand new kitchen and brand new curtains. entrance, hall with storage under the stairs, marble floor tiles, modern toilet, large living / dining room (52m2) with parquet floor, bay window at the front, fireplace and new modern semi-open kitchen with built-in appliances and doors from the dining room and kitchen to the terrace. The back garden has a wooden shed and enjoys the afternoon and evening sun. landing, 2nd toilet, front side room, large front bedroom with built-in wardrobe, master bedroom also with a built-in wardrobe, modern bathroom with shower, bath, towel heater and two washbasins. This floor has wooden floorcovering. landing with a roof window, three bedrooms, front balcony and balcony over the full width of the house at the back. Second modern bathroom with shower, toilet, washbasin, washer and dryer. 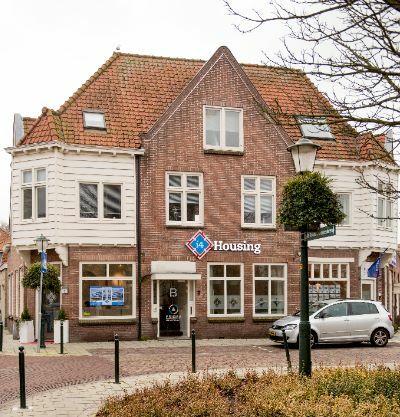 This is a perfect family house, within walking distance of the French and German Schools as well as the International institutions of The Hague.